Video demo: Ukrainian Folk Song "Tykha Voda" (*Silent Water). Arranged for bayan (accordion) by M.Rizol. 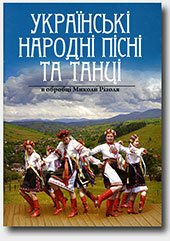 Video demo: Five Ukrainian Folk Songs for Bayan (Accordion) and Violin.